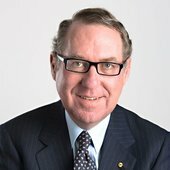 David Gonski is president of the Art Gallery of NSW Trust. 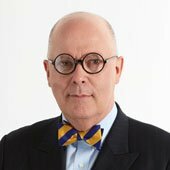 David is also chairman of the Australia and New Zealand Banking Group Ltd, chancellor of the University of New South Wales and chairman of the UNSW Foundation Ltd. He is also a member of the Sydney Airport Corporation board, the ASIC External Advisory Panel and the board of the Lowy Institute for International Policy, a patron of the Australian Indigenous Education Foundation and Raise Foundation and a founding panel member of Adara Partners. He was previously chair of the Review to Achieve Educational Excellence in Australian Schools for the Commonwealth Government of Australia. He was also a member of the Takeovers Panel; director of Singapore Airlines Limited, the Westfield Group and Singapore Telecommunications Limited; and chairman of Coca-Cola Amatil Ltd, the Australian Securities Exchange Ltd, the Sydney Theatre Company, the Guardians of the Future Fund, the Australia Council for the Arts, the Board of Trustees of Sydney Grammar School and Investec Bank (Australia) Ltd. Initial date of appointment 1 Jan 2016; expiry of current term 31 Dec 2021. Gretel Packer is currently chair of the advisory board for Crown Resorts Foundation Limited and a trustee of the Sydney Theatre Company Foundation. She is the founding patron of the Taronga Zoo Conservation Science Initiative and founding governor of the Taronga Zoo Foundation. Previously, she was a member of the Royal Botanical Gardens Foundation and a director of the Royal Hospital for Women Foundation. Initial date of appointment 5 Feb 2014; expiry of current term 31 Dec 2019. Khadim Ali is an internationally acclaimed contemporary artist. 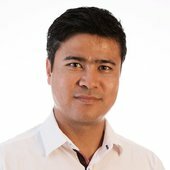 Born in Quetta, Pakistan of Hazara ethnicity (a minority group from Afghanistan), he moved to Australia on a Distinguished Talent Visa and is now based in Western Sydney. Mr Ali was trained in the tradition of Persian and Indian miniature painting and graduated from the National College of Arts in Lahore, Pakistan. His works are in the collections of leading galleries and museums, including the Victoria and Albert Museum, British Museum, Guggenheim Museum, Australian War Memorial Museum, Canberra and the Art Gallery of NSW. He has won the Qantas Foundation’s Encouragement of Australian Contemporary Art Award and a fellowship from the Australia Council. Initial date of appointment 1 Jan 2015; expiry of current term 31 Dec 2020. 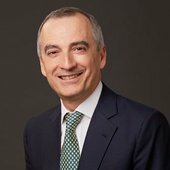 John Borghetti has over 45 years’ experience in the aviation industry. In March 2019, he retired from Virgin Australia after nine years as Chief Executive Officer and Managing Director. Prior to this, John had a long career at Qantas Airways. 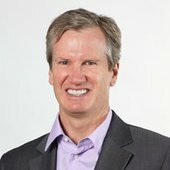 John is a Director of Coca Cola Amatil and has previously served as a Director of Energy Australia, the NSW Customer Advisory Board, Jetset Travelworld, Sydney FC, Piper Aircraft (USA), The Australian Ballet, CARE Australia and the Australian Chamber Orchestra. Initial date of appointment 1 Jan 2019; expiry of current term 31 Dec 2021. A director of Yuills group of companies since 2000, Ashley Dawson-Damer has been a member of the Opera Australia Capital Fund Council of Governors since 2005 and a board director since 2014, and a trustee of the National Gallery of Australia Foundation since 2004. She was a Festival of Sydney board director from 2012 to 2016, alternate for the NSW Premier from 2012 to 2014, board director of the National Art School from 2012 to 2014, member of the National Gallery of Australia Council from 2005 to 2014, board member of the National Institute of Dramatic Arts from 1997 to 2003, trustee of the Museum of Sydney Foundation from 1995 to 1999 and member of the Acquisitions Committee for the Australiana Fund from 1993 to 1994. Initial date of appointment 26 Feb 2014; expiry of current term 31 Dec 2019. Professor S Bruce Dowton is the vice-chancellor and president of Macquarie University. He is a paediatrician, clinical geneticist, molecular biologist, researcher and academic; and has served as a senior medical executive at a range of universities, healthcare institutions and consulting organisations. Mostly notably, he served as a paediatrician at the Massachusetts General Hospital for Children, and clinical professor of paediatrics at Harvard Medical School. Professor Dowton serves on a number of boards, and is the chairman of Open Universities Australia. He was born in Ivanhoe, New South Wales, and raised in Dubbo before moving to Sydney as the first in his family to go to university. 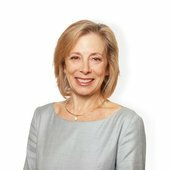 Sally Herman is an experienced director in the fields of financial services, retail, manufacturing and property. 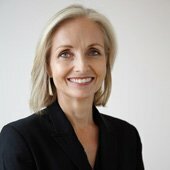 She had a successful executive career in financial services in both Australia and the US, transitioning in late 2010 to a full-time career as a non-executive director. Prior to that, she had spent 16 years with the Westpac Group, running major business units in most operating divisions of the Group, as well as heading up Corporate Affairs and Sustainability, during the merger with St.George and the global financial crisis. Ms Herman now sits on both listed and unlisted boards, including three ASX 200 companies: Suncorp Group Limited, Premier Investments Limited and Breville Group Limited. She is also on the board of Evans Dixon Limited, Investec Property Limited and the Sydney Harbour Federation Trust. Ms Herman is actively involved in the not-for-profit sector, with a particular interest in social justice, education and the arts. She is a member of Chief Executive Women. 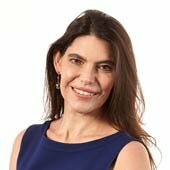 Samantha Meers is executive deputy chairman of property and investment group the Nelson Meers Group, and co-founder and trustee of the Nelson Meers Foundation. Her current board appointments include chairman of Belvoir St Theatre; chairman of Documentary Australia; chairman of Brett Whiteley Foundation; deputy chairman of the Federal Government’s Creative Partnerships Australia; and a director of the State Library of NSW Foundation. She also sits on advisory boards for the University of Sydney and the Centre for Social Impact at the University of NSW. 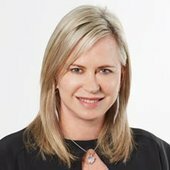 Ms Meers began her career as a commercial lawyer with Mallesons Stephen Jacques (now King and Wood Mallesons), and her executive career included senior management roles in the media sector. She is a member of Chief Executive Women and a fellow of the Australian Institute of Company Directors. Initial date of appointment 1 Jan 2011; expiry of current term 31 Dec 2019. Andrew Roberts is the principal of RF Capital Pty Ltd, a private funds management company focusing on alternative asset classes, including real assets, financial markets and credit. He is also a major shareholder in CorVal Partners, a property funds management business. Mr Roberts sits on the advisory council of the University of NSW Australian School of Business. Previous roles include CEO of Multiplex Group, and board roles on various philanthropic and arts organisations including the Australian Museum, MCA Foundation and the University of WA Business School. 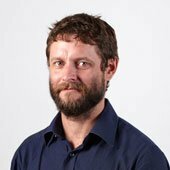 Ben Quilty is a practising artist and Sydney College of the Arts graduate. He also graduated from the Western Sydney University (WSU) School of Design, has completed studies in Aboriginal culture and history through Monash University, Melbourne, and in 2015 received an honorary doctorate from WSU. His work is held in numerous institutional collections including the Museum of Contemporary Art Australia, Art Gallery of South Australia and Art Gallery of NSW. He has won numerous awards in Australia including the Archibald Prize at the Art Gallery of NSW, Doug Moran Portrait Prize, Redlands Westpac Art Prize, National Self Portrait Prize and Brett Whiteley Travelling Art Scholarship. Quilty has guest lectured extensively and is a former board member of Artspace in Woolloomooloo. Initial date of appointment 1 Jan 2013; expiry of current term 31 Dec 2021.